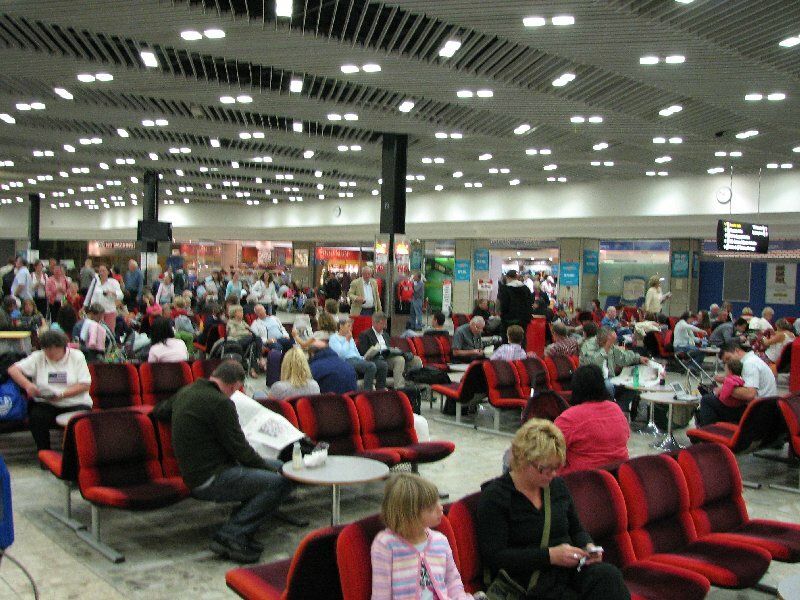 Above: passengers waiting to board a flight at Shannon Airport, Ireland's Western gateway to the US. Unless students demand of politicians that they take steps to address the emigration problem, there'll be plenty more of these flights. Excuse me if I've come to be known as the weekly bearer of doom and gloom from Ireland, but there's so much about student emigration that's worth reporting on, and so little seemingly being done about it. I found a few pieces from Ireland's newspapers this week that shed more light on what's becoming an unstoppable problem for Ireland. Ranking them in order of misery and dismalness, this piece from the Irish Independent surely leads the field: the GAA is losing 250 players a week to emigration. This is a fairly shocking fact. The gravity and scale of the emigration problem is perhaps better and more keenly felt when you limit the statistics to a certain group or class of people rather than just paint the picture in terms of the entire country, which makes it fairly difficult to get a grasp on just how many people are leaving when the numbers are so large. That fact about the GAA is far from the worst of the statistics, though. The ERSI (Economic Research and Social Institute), widely regarded as Ireland's leading think-tank, has estimated that 100,000 young people will leave Ireland between Apr. '10 and Apr. '12 alone; that's a shocking amount that is in fact even worse than the recession of the '80s when the net outflow reached a mere 44,000, but in truth both are catastrophic figures. Other countries are certainly beginning to take cognizance of this problem, which perhaps is not surprising giving the enormous scale of it. A Dutch television station is to make a documentary on the situation, according to this morning's Irish Examiner, but what's revealing about that is a quote from the documentary's maker which shows just how unusually strange and terrible our situation is: "In Holland people emigrate because they have to, in Ireland it's an economic necessity," the documentary maker says. In Canada, a traditional stronghold of Irish emigrants, they're even offering a new visa which will make it easier for Irish emigrants to extend their stay in the country to a second year and perhaps even longer. The point of all this wordage, besides to show how bad the problem is, is to highlight that nothing seems to be being done about this. Student unions, such as the national USI, have made some tepid steps towards highlighting the situation, but this has amounted to little more than an angry march on Dublin city centre which saw a few arrests and the surfacing of allegations of police brutality, but nothing substantive was done, no commitments were made, and the problem remains as bad, or worse, than it ever was before. Coming into the upcoming general election now is the time for Irish students to get on the backs of their local politicians and ask them what they propose to do to solve this problem. The alternative is a very bad one.